We adore The Baked Bear and love our Scottsdale location! The Baked Bear has announced plans for its second Valley location in less than six months due to customer demand for the popular ice cream sandwich shop. We can’t say that we are surprised given the quality and overall awesomeness of their ice cream sandwiches! The Baked Bear will be located on the northwest corner of 5th Street and Mill Avenue in Tempe at 420 S. Mill Avenue, Suite 106. 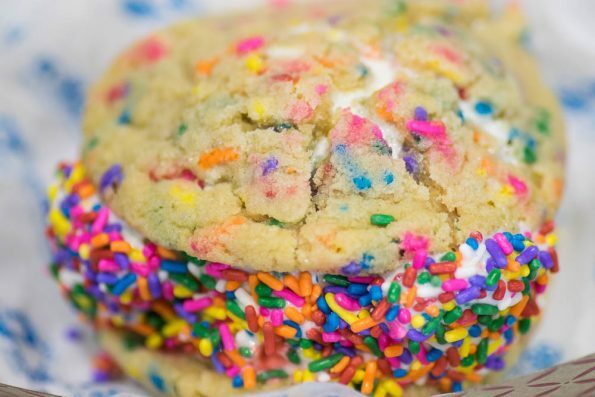 With a grand opening slated for August, The Baked Bear will feature made-to-order ice cream sandwiches. Its original cookie recipes are baked from scratch and served fresh out of the oven daily with craft homemade ice cream that is made from the highest quality ingredients. Tempe’s The Baked Bear is expected to draw crowds from Arizona State University students, as well as locals in the area. Customers at the eatery can choose between more than a dozen different ice cream flavors and more than a dozen flavors of cookies, including chocolate chip, with both a regular and a gluten free version, red velvet, cookies and cream, snicker doodle, funfetti and white chocolate macadamia nut. More adventurous ice cream sandwich eaters can mix and match cookies, brownies and even donuts and finish their sandwich with one of ten different toppings, including hot caramel and brownie bits. In addition to the two Valley eateries, The Baked Bear has a robust catering service that can provide a full service ice cream sandwich bar or prepackaged ice cream sandwiches for weddings, corporate events, fund raisers, sporting events, birthdays, office parties and more. The Baked Bear Tempe will be the ice cream sandwich shop’s 10th opening since the concept launched in San Diego in 2013. The Tempe location will be owned and operated by local entrepreneurs and business partners Rob Clark and Anthony Velez. More information is available at TheBakedBear.com or at the Tempe location’s Facebook page at Facebook.com/TheBakedBearofTempe.